In this week's Abundance Insider: Chain-smoking robots, skin-healing electroactive polymers, and lip-reading AIs. What it is: Researchers in Tokyo have successfully used thermal stimulation on the tongue to mimic flavors such as mint, spice or piquancy. A separate team from the University of Tokyo also succeeded in mimicking textures such as hardness and chewiness with external electrodes on the masseter muscle. What it is: Scientists at Harvard's Wyss Institute built a chain-smoking robot to better understand the mysteries of pulmonary disease that plague smokers. The robot is designed to pass cigarette smoke into its lung-on-a-chip, mimicking how smoke passes through a human airway. The researchers tested two different chips -- one chip with cells containing pulmonary disease and the other chip without -- to observe how the two react differently to smoke. As a reult of these tests, scientists have already found more significant inflammatory responses to smoke from the cells containing COPD. Testing on a robot not only better represents human responses to smoke than animal testing, it also eliminates many ethical concerns. What it is: Inventors Mia Siochi and Lisa Scott Carnell have invented a high-tech gauze containing polyvinylidene fluoride -- the same material NASA refined for use in shape-shifting aircraft -- that has the unexpected ability to accelerate the human body's natural healing process. The gauze has natural electrical properties: when the polymer is put directly on skin and activated through body heat, it can mimic the effect of voltage devices used in hospitals to jolt cell migration. Seeing the material's potential to help astronauts heal wounds in space, the inventors handed the material over to NASA's Technology Transfer Program, which enables companies to inexpensively license NASA technology and "productize" it for a market of non-astronauts. What it is: The country of Luxembourg has invested a total of $28 million (USD) in Planetary Resources ($12 million euros from Luxembourg and $13 million from the public investment bank SNCI). 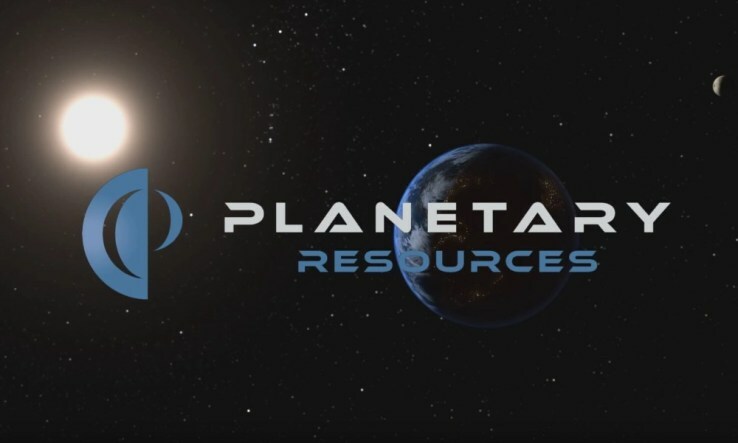 In addition to supporting the goal of launching the first commercial asteroid prospecting mission in 2020, Planetary Resources reports that Luxembourg will benefit from a strengthened local space industry through several key activities focused on "propulsion development, spacecraft launch integration, deep space communications, asteroid science systems, Earth observation product development, and mission operations." What it is: What if machines could lipread better than humans? That's the premise of LipNet, the first lipreading model that can make its predictions at the sentence level. As the study abstract reads, "On the GRID corpus, LipNet achieves 93.4% accuracy, outperforming experienced human lipreaders and the previous 79.6% state-of-the-art accuracy." LipNet is the product of joint research by Google's London-based DeepMind team, the Canadian Institute for Advanced Research and computer scientists at the U.K.'s University of Oxford. What it is: University of Minnesota researchers recently invented a soap molecule that could greatly reduce the number of chemicals used in cleaning products. 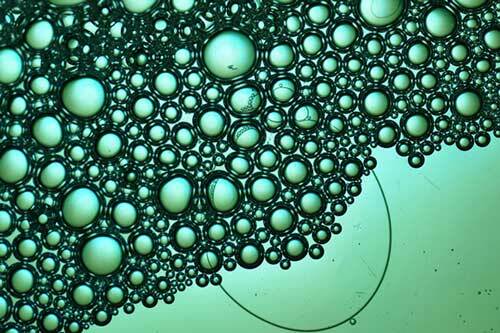 The soap molecule, called Oleo-Furan-Surfactant (OFS), is made from natural products that are far better for the environment than conventional soaps and detergents. Because OFS is made from straight carbon chains from soybeans or coconut, this soap molecule is 'perfect' in the sense that it's readily biodegradable. The technology used to create OFS has been patented by the school and is licensed to Sironix Renewables as part of the U.S. Department of Energy's focus on catalytic technology to produce renewable chemicals. What it is: Cooperative RadioTaxi 3570 -- Italy's largest taxi fleet, with over 3,700 taxis roving the streets of Rome -- now officially accepts bitcoin, thanks to a partnership with Chainside. "We are not as conservative and opposed to innovation as we often described," said Loreno Bittarell, the founder of the Italian Union of Radio Cabs and president of RadioTaxi 3570. "We have always seen innovation as a growth stimulus. We want to give a strong signal to our competitors." What it is: Google Lunar XPRIZE competitor Team Indus has just received a launch contract to compete for the first private expedition to the moon. The team signed a deal with Antix Corp of India Space Research Organization for a launch on the Polar Satellite Launch Vehicle late next year. Other competitors include Moon Express, SpaceIL, and Synergy Moon -- and they're all racing to be the first to land on the Moon and perform certain tasks before the end of 2017. This is all in an effort by NASA to refocus on a return to the Moon as part of its wider space exploration plan. What it is: Researchers led by Michael Strano from MIT have embedded carbon-nanotube sensors into the leaves of spinach plants, allowing the plant to detect a wide range of molecules, from explosives that leech into the groundwater to "hydrogen peroxide, the explosive TNT, and the nerve gas sarin." When prompted by a laser, the leaf emits a near-infrared fluorescent light, which a small infrared camera attached to a smartphone or Raspberry Pi can then detect.